So far Kim Kisselbrock has created 39 blog entries. The Parents’ Association was delighted to welcome Kenzie Fields from New Marlborough, MA to talk about her experiences hosting children from the Fresh Air Fund at our most recent meeting. Kenzie was an incredibly engaging and moving speaker. 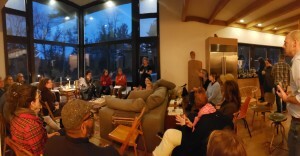 She shared personal stories about her family’s involvement with the Fresh Air Fund, provided details about how the program works and answered many questions. The Berkshires is such an idyllic place in the summer, a wonderful place to share with children in the Fresh Air Fund program. 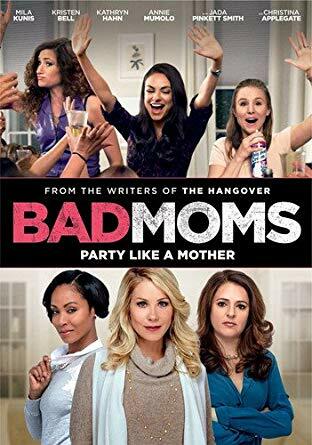 You’re invited to join other BCD moms to celebrate Mother’s Day all weekend long with a screening of Bad Moms! Presented by the BCD Parents’ Association. Mimosas and refreshments will be served. No agenda, no signup sheets, no kids, no responsibilities! *Description of the movie: A trio of stressed-out moms join forces to rebel against their daily responsibilities and end up on a collision course with a PTA Queen Bee and her clique of over-devoted moms. The Parents’ Association is thrilled to welcome everyone back after Spring Break. There are only a few months left of school and we have lots of fun events planned that parent volunteers help to execute. Please join us for our April PA meeting this Friday, April 5th at 8:15 am in the Kevin Hirt Library and Learning Commons. The agenda includes Fresh Air Fund – http://www.freshair.org – guest speaker Kenzie Fields, Faculty and Staff Appreciation Week planning, and Fun and Field Day planning. The Parents’ Association’s Salon Series this week was a resounding success with interesting topics, engaging speakers, a comfortable and welcoming environment and most of all a great sense of community. A special thanks to Jill and Jason Duffy for hosting and to speakers Melissa Auf der Maur (Basilica Hudson), Betsy Jacks (Thomas Cole National Historic Site) and Stephanie Lazar (Rolling Grocer 19)! Celebrate March with the PA on Friday! Please join us this Friday, March 1 for our meeting at 8:15 am in the Kevin Hirt Library and Learning Commons. We look forward to planning Faculty and Staff Appreciation Week and sharing updates about the Salon and Speaker Series. This meeting is a great opportunity for parents to show their support for our amazing faculty and staff! All are welcome, especially if you haven’t attended a meeting before! Happy Valentine’s Day from the Parents’ Association! 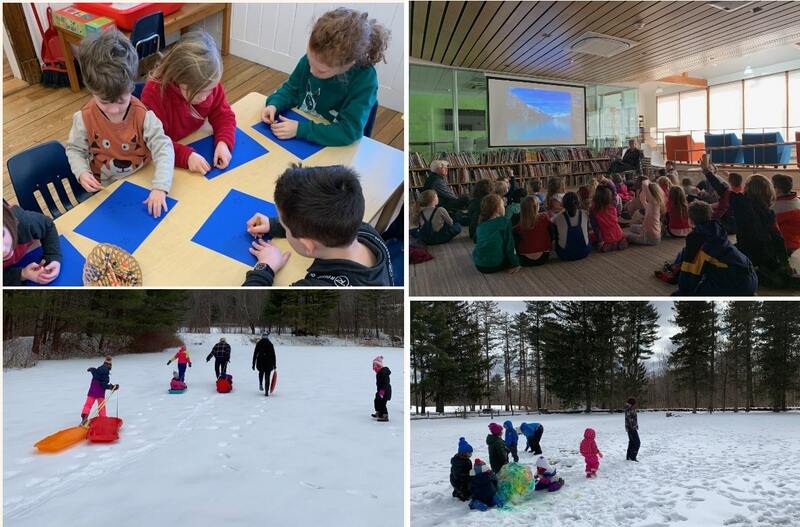 Please join us this Friday, February 15th for our mid-winter meeting at 8:15 am in the Kevin Hirt Library and Learning Commons. We look forward to sharing updates about WiseBodies parent workshops and an upcoming Salon Series in Columbia County. The February meeting is a great time to brainstorm new ideas and reflect on past events. The Parents’ Association is thrilled to begin 2019 with a Welcome Back meeting this Friday, January 11 at 8:15 am in the Kevin Hirt Library and Learning Commons. We thank all the BCD families who contributed to the Holiday Gift Drive! The Department of Children and Families was incredibly thankful. Your generosity was felt by 75 children and their families. We also hope that you were able to shop at the lovely Book Fair, as well as purchase some BCD gear and water bottles. We still have some available! This Friday, we will be preparing for many of the winter and spring activities that the BCD community looks forward to, including Alaska Day, the Salon Series, and Faculty and Staff Appreciation Week. Please join us! We look forward to seeing you! The Parents’ Association has several opportunities for you to participate in this year’s Book Fair. Please click HERE to sign up. We will need help with setup on Wednesday, December 12th, with sales on Thursday, December 13th, and with sales and packing up on Friday, December 14th. The Book Fair is a wonderful event, with books for children and adults curated by Lenox’s The Bookstore owner, Matt Tannenbaum. Teacher wish lists will be available as well! This year, we will also be selling BCD winter hats and stainless steel water bottles. Don’t miss out on a unique chance to get some holiday shopping done. CASH and CHECKS ONLY. Holiday Gift Drive tags came home this week. Please wrap your gift(s) and make sure your tag is attached. You can return your gifts from 7:45 – 8:30 am Wednesday 12/12 – Monday 12/17 in the small outside room (aka Bat Cave) to the left of the main entrance to Albright. Also, a parent volunteer will be collecting gifts before the Winter Concert on Friday 12/14 at the Fitzpatrick Gym entrance. The Parents’ Association thanks all of the amazing parent volunteers who helped to make Thanksgiving Soup such a wonderful event! Please join us for our Parents’ Association meeting this Friday, November 30th after drop-off at 8:15 am in the Kevin Hirt Library and Learning Commons. We will be discussing upcoming events, such as the Holiday Drive and Book Fair, with lots of lively conversations throughout the meeting. We value your input at these meetings, so please mark your calendars for Friday! The Parents’ Association has a lot going on this week! Please donate the following items and place in plastic bins in Albright by this Friday, November 9! Please join fellow parents for wine, cheese, and conversation from 6:00-8: 30 pm at the home of Stephanie Iverson and Colin Mathews. 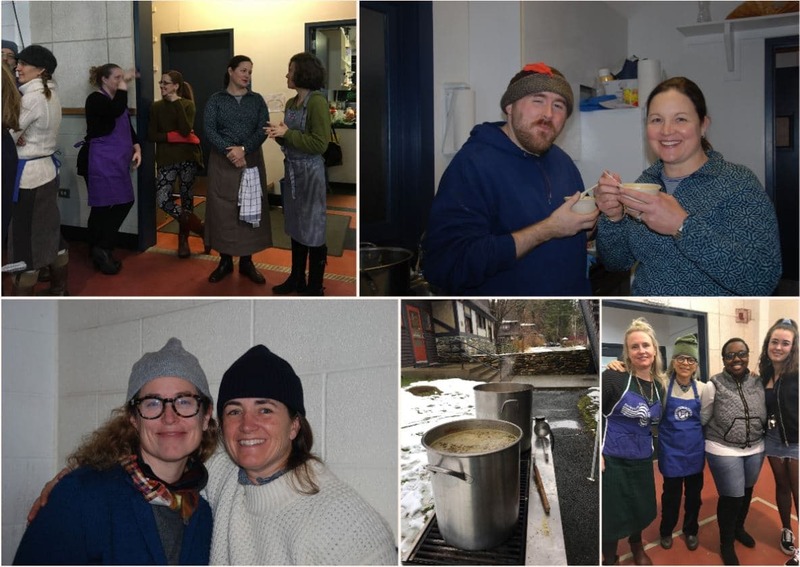 We would love your help in planning for upcoming events, including Thanksgiving Soup, Book Fair, and the Holiday Gift Drive. Please meet in the Kevin Hirt Library and Learning Commons at 8:15 am.